We argue for the uniqueness of CVD epidemiology in its origins, its development, and in its consequent public policy, applications, and impact. The field grew mainly out of the direct knowledge and curiosity of CVD specialists who were not epidemiologists at the outset but who uncharacteristically looked beyond the clinic and laboratory to the population and culture. 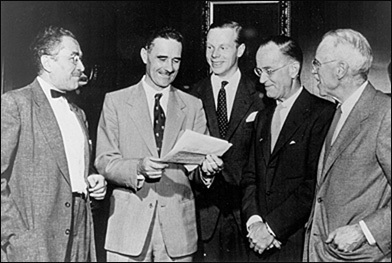 These specialists were aided by leaders with a broad view of the public health, especially in the U.S. Public Health Service and the new National Heart Institute. CVD epidemiology provided a model. It was actively multi-disciplinary and collegial, and in challenging the prevailing wisdom about the inevitability of vascular attacks with aging, it proposed evidence-based recommendations for CVD prevention among patients and in the greater population. It led the epidemiologic transition to non-communicable diseases as a focus of public health. The transition in mid-20th century from impressionist ideas about the frequency and causes of CVD to formal studies in populations was facilitated by modern diagnosis, recognition of the epidemic, and government funding of research policy. The new insights and evidence provided by multidisciplinary research and the risk paradigm led to growth of a prevention discipline, with professional societies and expanded training internationally. Epidemiological theory and method evolved along with the sophistication of investigators (and their computers). Research progressively addressed secondary, then primary, then “primordial” prevention; single, then multifactorial risk; individual, then population-wide strategies. Prevention policy and programs were integrated into academia and medical and public health practice. Pockets of resistance developed to the risk concept and to the broad prevention recommendations of pioneer epidemiologists. Gradually, however, from increasing and congruent evidence, the force of epidemiological contributions and preventive recommendations advanced. Professional resistance to epidemiological evidence about CVD risk and prevention reflected mainly different training, exposures and mindsets. Physicians were concerned with unique patients and bench scientists with basic mechanisms. Epidemiologists, in contrast, were concerned with population-wide phenomena and the public health. Arguments predominated about cause and prevention in the individual vs. the population and about nature vs. nurture, and stances taken were often related to political views about the potential for individual versus social change. Elitist attitudes about the “superior value” of bench and clinical vis a vis epidemiological science also played a role. 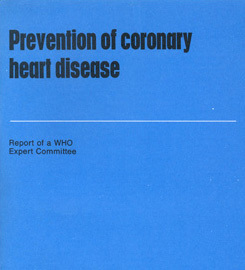 The WHO Expert Report on Prevention of Coronary Heart Disease in 1982 attempted to reduce the antagonistic aspects and emphasized complementary roles of the medical high-risk approach and the population-public health strategy of prevention. Parallel with wider acceptance of a combined medical-population approach to CVD prevention came disappointing results in risk reduction of health promotion strategies of the Multiple Risk Factor Intervention Trials and the U.S. Community Prevention Programs. In contrast, the various lipid-lowering drug trials of the 1980s and later produced stunning results in lowering CVD risk. Thereafter, focus on high-tech, pharmaceutical control of risk factors coincided with the shifting economics and politics of affluent industrial society. Major prevention programs such as the National High Blood Pressure and National Cholesterol Education Programs of NIH and the European Joint Committee paid lip service to hygienic strategies and healthy lifestyles while they forged ahead with medicalization. Behavioral change was downplayed in research priorities. Legislative approaches languished. In the new millennium, statins came to be sold by the billions, and in 2003 the British Medical Journal even proposed editorially a “Polypill” of six risk-lowering drugs-in-one as a universal public health strategy. Medical and public health communities were surprised by the rapid downturn in reported age-specific death rates for heart attack and stroke in the mid-1960s in industrialized nations. The decline was substantially consistent with risk factor changes and with improved cardiac care and survival. The potential of prevention had been clearly demonstrated, even if its mechanisms were not fully explained. Today, survival from CVD events has improved, but incidence has fallen less than mortality rates. Along with an aging population, this phenomenon of “incomplete prevention” has, for a time, increased the medical burden of CVD. Recent trends establish that risk and attack levels can rise, as well as decline. A continued prevention strategy is needed to reach population segments at particular risk. Still, scientific research and effective prevention hold great potential for a further epidemiological transition – to healthier, longer lives. This concludes the didactic segment on the origins and early development of CVD prevention research. Please move on to the website’s original materials on Studies, Methods, Institutions, People, Essays, and Media resources.